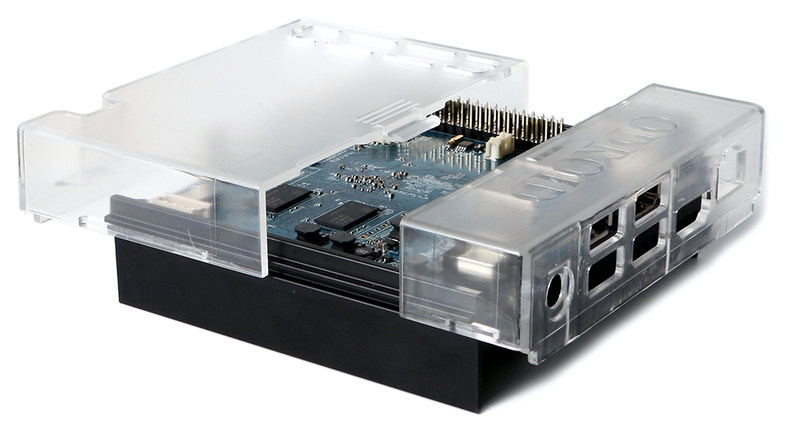 ODROID-N2 is a new generation single board computer that is more powerful, more stable, and faster performing than N1. The main CPU of the N2 is based on big.Little architecture which integrates a quad-core ARM Cortex-A73 CPU cluster and a dual core Cortex-A53 cluster with a new generation Mali-G52 GPU. Thanks to the modern 12nm silicon technology, the A73 cores runs at 1.8Ghz without thermal throttling using the stock metal-housing heatsink allowing a robust and quiet computer. The CPU multi-core performance is around 20% faster and the 4GByte DDR4 RAM is 35% faster than the N1. The N2’s DDR4 RAM is running at 1320Mhz while N1’s DDR3 was running at 800Mhz. The large metal housing heatsink is designed to optimize the CPU and RAM heat dissipation and minimize throttling. The CPU is placed on the bottom side of the PCB to establish great thermal characteristics. 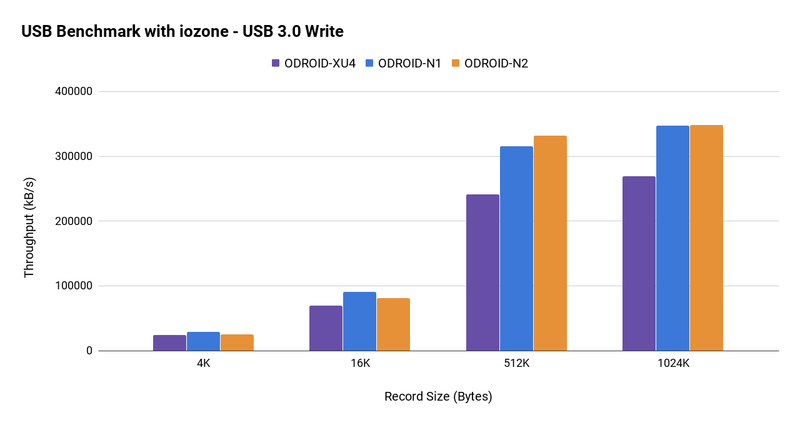 Dhrystone-2, Double-Precision Whetstone, Sysbench and Memory bandwidth benchmark results show the N2 system performance comes out ahead of other popular ARM SBCs. The Mali-G52 runs at 846Mhz and is ~10% faster than Mali-T860MP4 in ODROID-N1. The Mali-G52 is the second Bifrost-based mainstream GPU from Arm. There are two Shader Processors in the GPU and each core has three Execution Engines. This is sometimes referred to as MP6. GPU performance was measured with glmark2-es2 “--off-screen” option. Why does DDR4 matter? 1320Mhz-DDR4 is 35% faster than 800Mhz-DDR3. 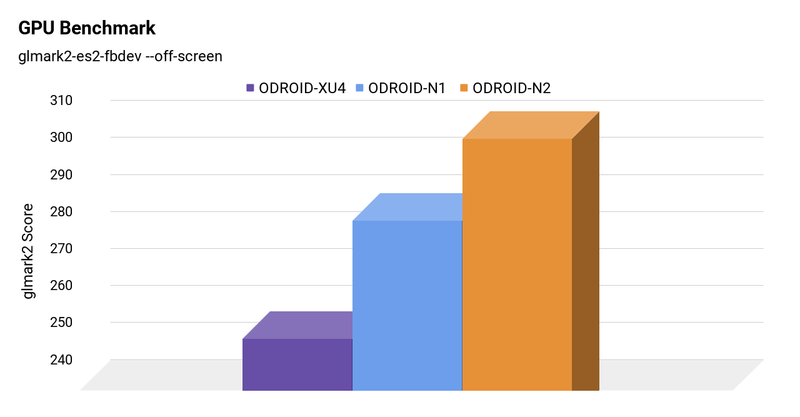 ODROID-N2 DDR4 RAM runs at 1320Mhz. 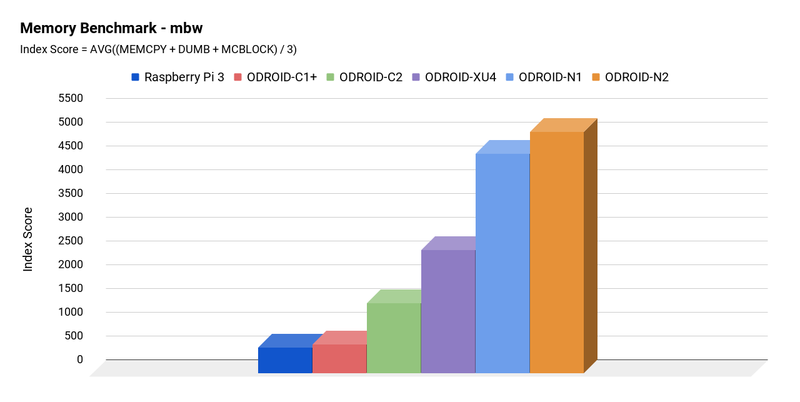 Some ODROID users may recall the lower than expected clock speed in S905. 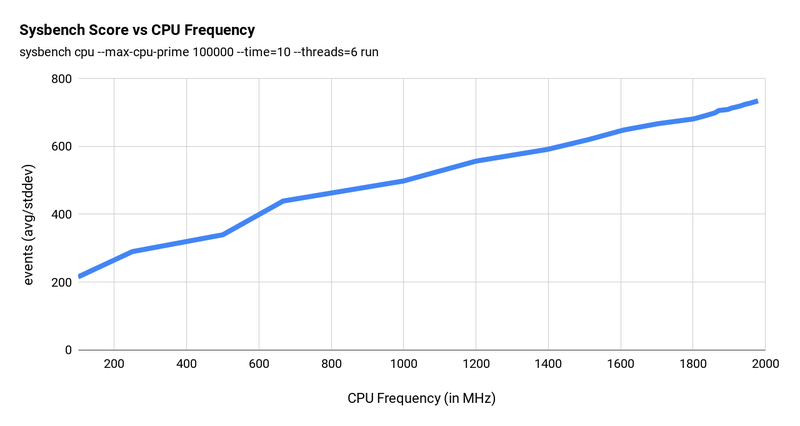 We ran a test to double check the ratio between CPU clock frequency and performance. 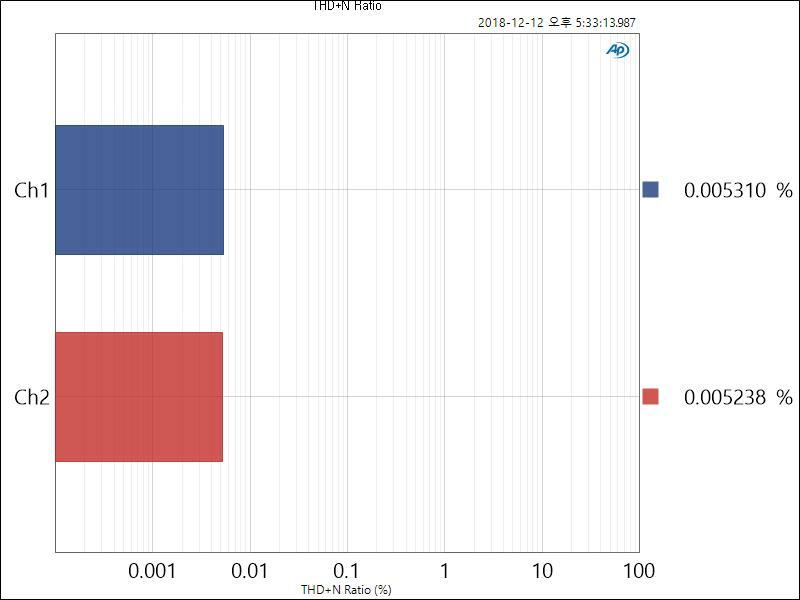 To check the thermal throttling, we ran some heavy CPU and GPU loads together on the SoC and monitored temperature. 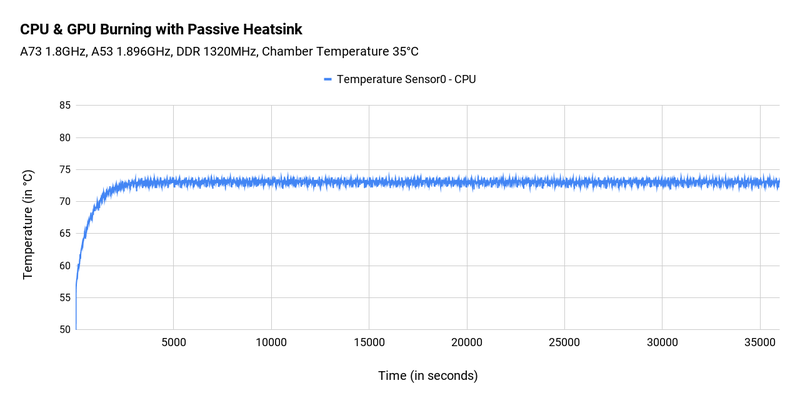 We ran the test within a chamber that keeps the ambient temperature at 35°C. 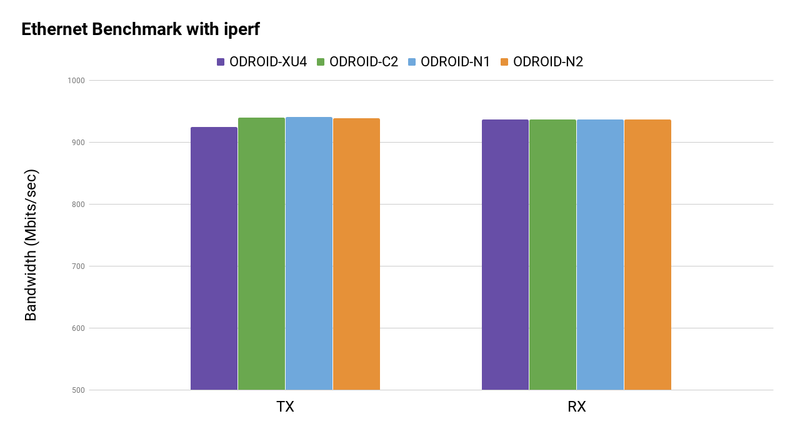 According to our iperf test result, the throughput performance was near 1Gbps. We measured the USB transfer speed with a UAS capable SSD. The average ~340MB/s of throughput should be acceptable for many application. Since four USB host ports share a single root hub, the transfer rate must be lower if you use multiple USB devices at the same time. Sequential read and write speed is over 150MB/s and 125MB/s respectively. 4K random access performance is reasonably fast too. iozone test result are as follows. Using properly implemented UHS dynamic voltage scaling, the sequential read and write speed is over 70MB/s and 55MB/s respectively. The previous S905 SoC couldn’t activate the UHS mode once the system boots from eMMC. But S922X can keep using the UHS mode with the eMMC module simultaneously. ODROID-N2 has an on-board high quality 384Khz/32bit stereo audio line output. 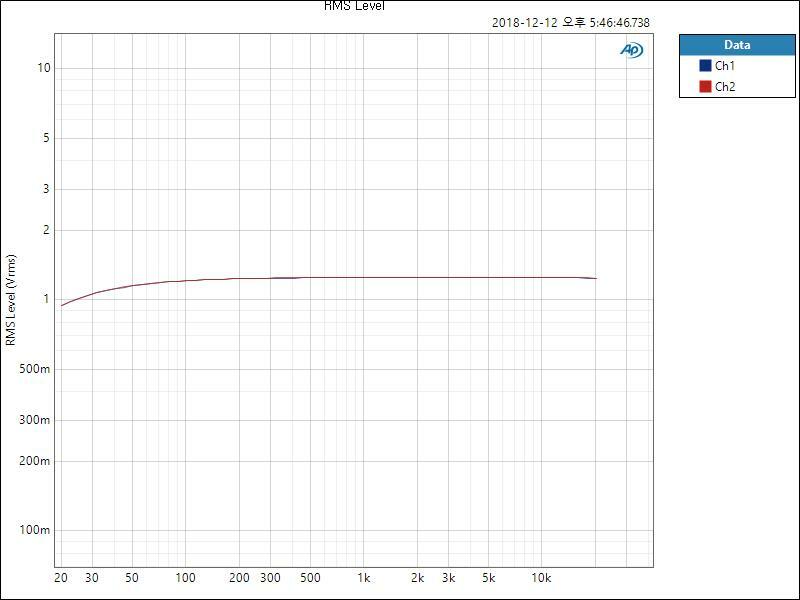 Dynamic range and SNR is near 100dB and Total-Harmonic-Distortion is lower than 0.006%. You can enjoy Hi-Fi sound quality without an external expensive audio DAC. ODROID-N2 can boot from on-board SPI memory instead of uSD memory or eMMC cards. The on-board SPI memory is 8MB in size and can include the bootstrap binaries, U-boot, bare minimum Linux kernel, and a ramdisk that includes “Petitboot”. The “Petitboot” software provides a user friendly interface and allows users to select a boot media. Unfortunately, since the SPI bus on S922X shares the hardware interface with eMMC, the SPI flash memory on ODROID-N2 is only accessible at boot until the eMMC hardware block is activated. So you have to remove eMMC module and boot from a SD card to update firmware in the SPI flash easily. ODROID-N2 has an on-board RTC component, NXP PCF8563, interfaced to the I2C bus and can use a backup battery as an alternative power source while the main power source is absent. Since the actually measured power consumption is less than 1uA, the RTC can run for over 10 years with a CR2032 backup battery. Also, this will let your ODROID-N2 wake up at a certain time once you set an alarm time and shutdown it. The ARMv8 architecture supports hardware accelerated crypto extensions for building a secure system. As expected, we could see very decent openSSL performance with ODROID-N2. The N2 GPIO interface is similar to C2 and fully supports a 3.3Volt interface while N1 could only support 2.8Volt IO. This is beneficial for using various peripherals without complicated level shifters. 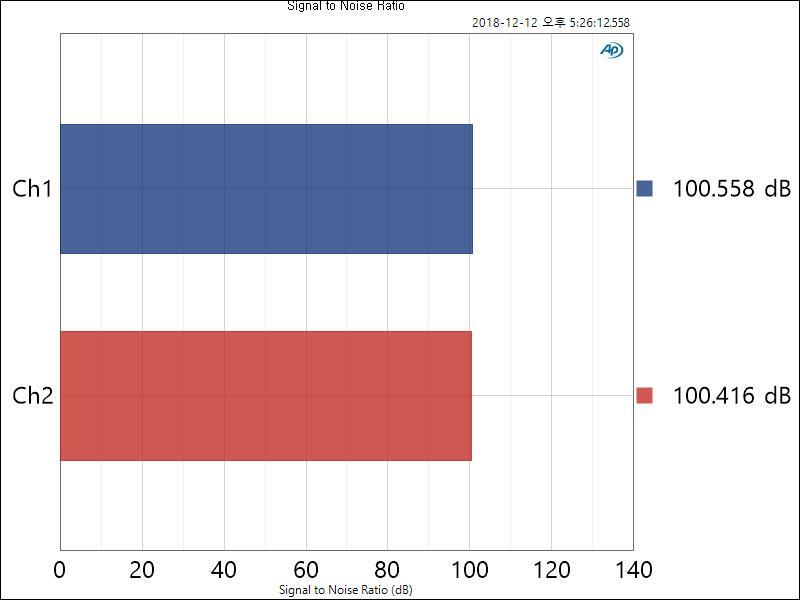 Another big improvement is a faster SPI bus interface. 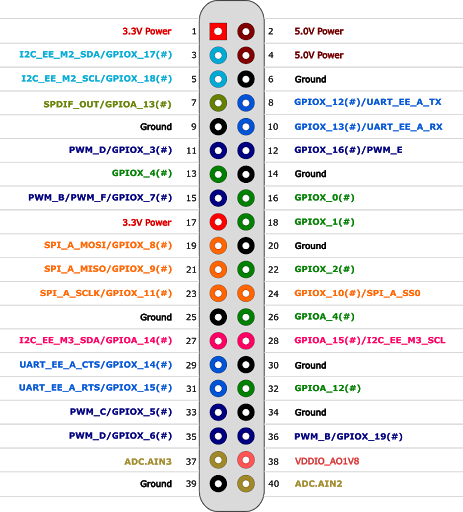 Its maximum frequency is over 150Mhz, and we will try to implement a DMA driven SPI driver for faster LCD display. No cables are attached except DC power input and USB-UART debug console cable. We will start to sell from very late March and the first shipment will start early April. There is no plan to accept any pre-order. We will send some engineering samples to our friendly community members very soon. I hope we can ship the samples in this week. You can choose between two colors: semi-transparent dark black and clear white. The price will be only $4. 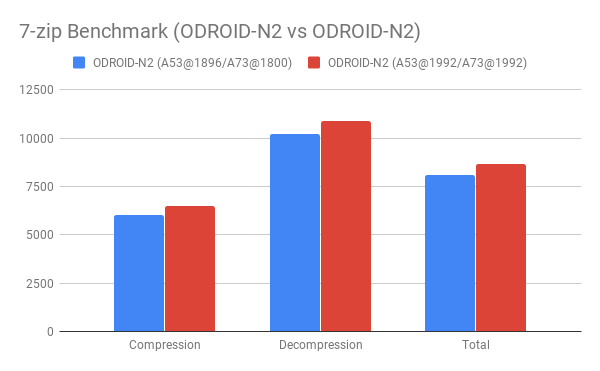 As we posted, the N2 multi-core performance is ~20% faster than N1. But some people might not trust the Dhrystone and Whetstone benchmark. Therefore we ran another benchmark test of 7-zip(LZMA) compress/decompress speed with the same GCC 6.3 toolchain on Debian. 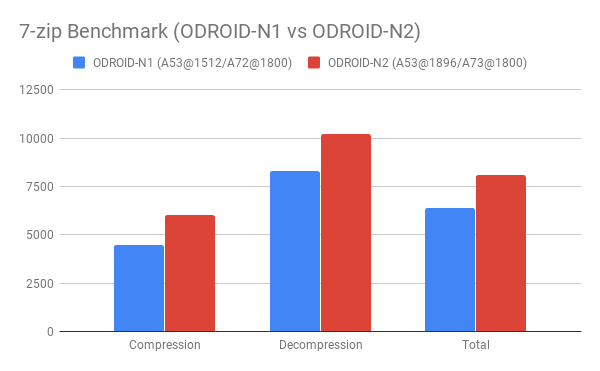 As we can see, N2 is ~20% faster than N1 obviously. 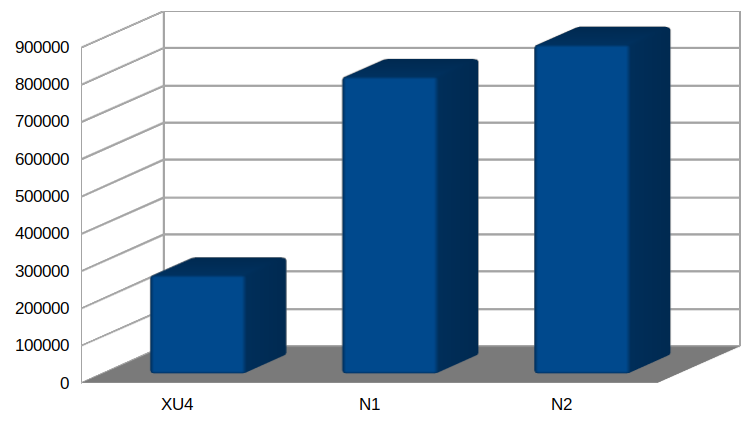 If we overclocked the N2, we have additional 7~8% gain. Anyway, we can say that very old Unixbench is still effective to compare the performance. But we have to agree we need to run the PTS (Phoronix Test Suite) like modern benchmark tools too. We will check the memory performance more carefully in the next week because RK3399 slow memory issue seems to be solved with a couple of patches in the Kernel. We've not played with the N1 Kernel since we dropped it several months ago. I guess the memory bandwidth difference may be negligible not 35% if we apply the patches. I am excited, this device ticks a lot of the boxes. The DAC is a big surprise! I love the case design, good work. edit: Now to go back and look at the pictures again while I wait for git to clone that kernel source code. Last edited by cdu13a on Wed Feb 13, 2019 3:23 pm, edited 2 times in total. Congrats on releasing - must have gotten a burden off your chests. SPI flash and petit boot support are very nice, also onboard dac should make audiophiles happy(er). Lack of x11 acceleration should be expected with Amlogic, but C2 was the same when it launched. We've replaced the tables with images. Great design, unique as always. All the best luck with sales! I was also wrong with my assumptions and it's easy to be, well that is not the last board HK will do For sure a great hardware but strange that HK broke up with the C-Series ? It is very painful to wait until April. AreaScout wrote: I was also wrong with my assumptions and it's easy to be, well that is not the last board HK will do For sure a great hardware but strange that HK broke up with the C-Series ? The S922X wouldn't fit the C series price scheme, other than that I also thought the next Amlogic based device would be the C3. The device is a bit more powerful than the RK3399 which is nice, it's a shame we lost the dedicated SATA. I can't wait to get CoreELEC running on that one. Since H2 is still not in stock and we do not know when it will be available again, I will wait until the 2 are in stock to place one order. I doubt C2 had a SATA port and I remember that oDroid said there will be a C2 successor. They released 2 SBCs in about 5-6 months, they should rest a little bit now and focus on getting them manufactured. 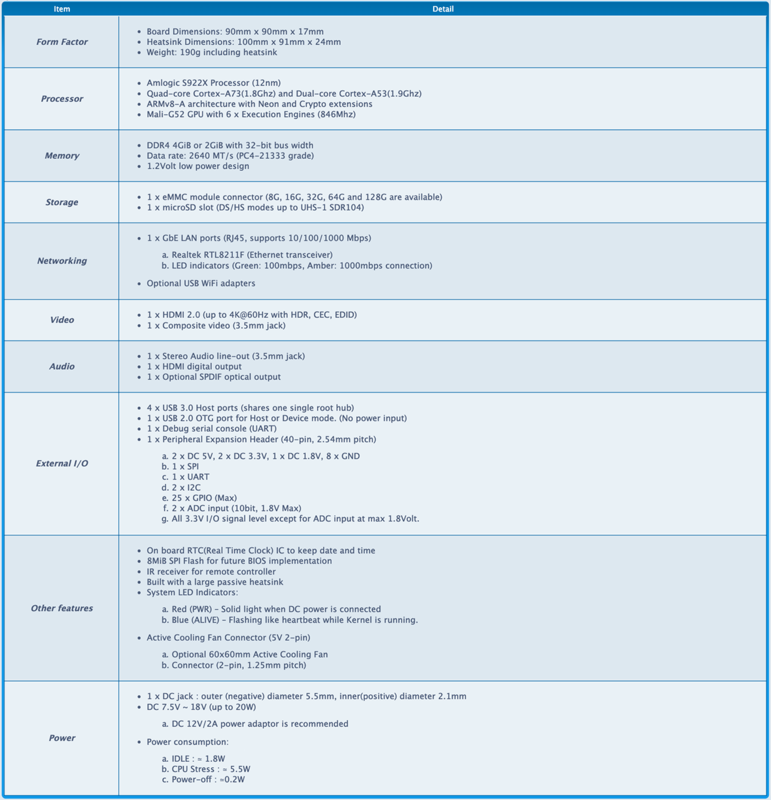 for those interested in GPGPU, the mali user space driver should already be OpenCL ready. Maybe from a 3.5mm adapter? Maybe from GPIO? With 4 USB3.0, we can manage the lack of SATA with USB3/SATA bridges. It's fine as it is. And 2W idle allows to let it on all day long. I like the looks of the case style. It looks like it would be easy to mod. You could probably easily make(3d print) a new top piece that could include a small led display in it without having to worry about making a whole new case. Or be able to make a game console inspired top cover that could just slide on. I love the reverse mounted CPU heatsink design, thats fantastic. Yay!! 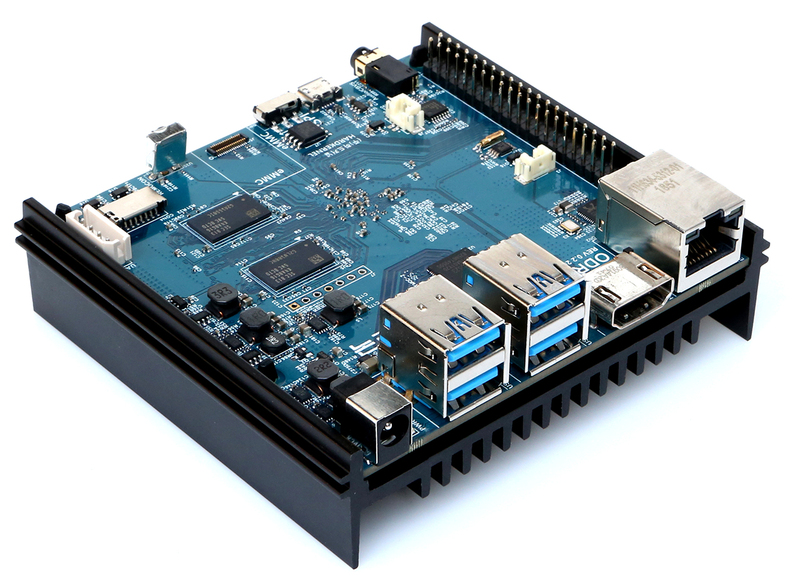 Looks great and can't wait to order one to port NEMS Linux to!! Great news. I was waiting so long for this news, and it didn't disappoint. It all looks great. I can't wait to test the new SoC. Please think of me if you want this reviewed on Youtube. I'm more than willing to spend a lot of my time into testing this. Good luck with the sales, great to see something different from what the competition brings. Hmm, I wonder if hdmi and cvbs could be used independently as a dual-screen setup, or is cvbs a scaled down version of the hdmi output? HDMI and CVBS can work exclusively in the current implementation and CVBS also can have the native resolution of NTSC or PAL but need some overscan thing, not tested with CRT yet how it looks good. Nice DAC, heatsink looks perfect. 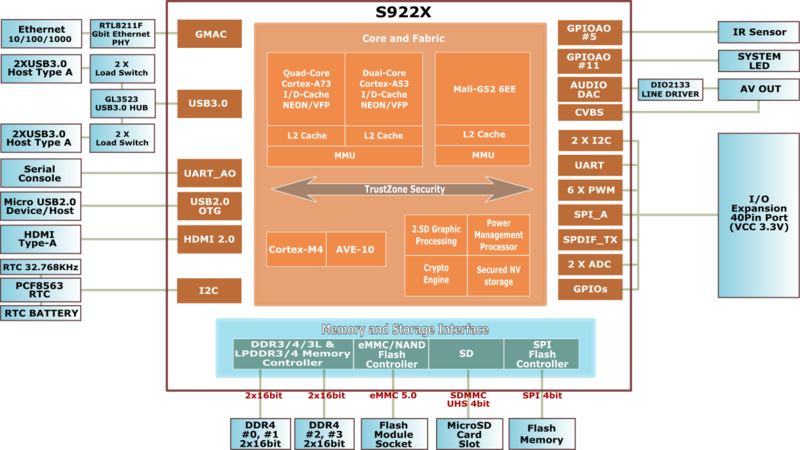 I did not find an Amlogic S922X specification document, is it possible to make a >4GB DDR version? Last edited by elatllat on Thu Feb 14, 2019 3:15 am, edited 3 times in total. I again made an announcement video about the Odroid N2. Wow, what a great design! I love the case-heatsink and the functionality choices are superb. 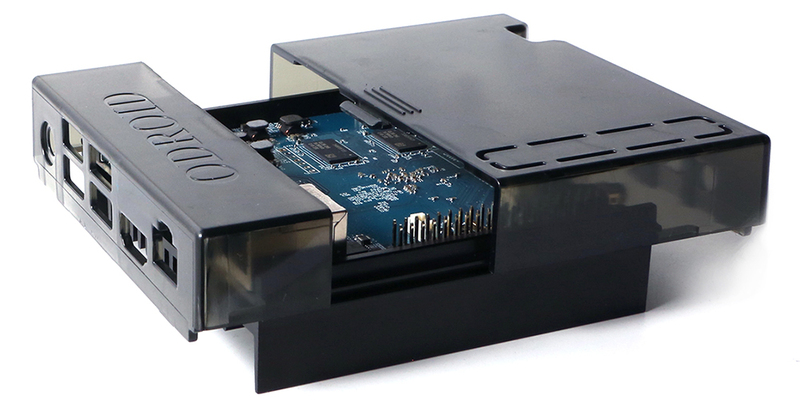 It raises the bar for other vendors, some what not surprising since it's a HK Odroid! Always thought there has been a rather large gap in the market for a top spec AMLogic Linux beastie ! Good price point for such power full machine. same reason as always, - different countries require different certification for onboard radio modules. you can ship a device pretty easy worldwide until it has radio-module that is going to be subject to certification for each country differently. brave companies fusing radio modules on their boards either target one-two countries, or don't expect commercial massive contracts and target enthusiasts who can be shipped by fedex. I think it makes a lot more sense to leave out integrated WiFi, it's just extra money a lot of people won't get use out of spending. Also there are IT situations from having it on a device, and the glaring problem mentioned above by oversun. You had me fooled with the Pi Zero 1.5. Wifi is a very end user dependent feature. The Wifi configuration (speed + antenna) I need is entirely different from what someone else may need. For configurations where I desire Wifi, its important to me that I am able to choose the chipset that has the driver support and features I need. Its also important that I do not need to 'throw the entire board away' if I want to use a newer Wifi (or Bluetooth) standard. BadPritt wrote: You had me fooled with the Pi Zero 1.5. Indeed, the N2 looks very nice. Is there any more detail about the caches available? Address space is limited to 4GB only. That's enough for desktop with Linux for me. If you add 2GB zram, then I don't see what you must do to not have enough ram. I use SBC's for video editing with Kdenlive. 2GB was just enough, now with my RK3399's with 4GB I've got plenty enough, and some more. That's the difference in using bloated Windows software vs clean Linux software. I can't wait to get the N2, it will be a video render beast that can handle 4K video. Not to bad for an SBC. ...bloated Windows software vs clean Linux software. git gc on the Linux kernel will sometimes fail in only 2GB RAM. eclipse on a large project will fail on only 4GB RAM. Chromium and Firefox eat RAM like it's free. But yah between the N2 and H2 a lot of use cases are covered. I don't see a bodge wire in the images, whats the difference in board revisions? Woo! The small linux dev IRC group I'm attending is pretty excited about the new N2. What exact capabilities has the GPU? What level of OpenGL and Vulkan support should be expected? What level of OpenGL and Vulkan support should be expected? All this sounds amazing. Thank you for the great news. Cant wait to get one and start playing. With the exception of RenderScript (Android), I personally expect the remaining APIs: GLES 1.x/2.x/3.x, Open CL 1.x/2.x, and Vulkan 1.x. What we get in a Mali binary is determined by licensing rather than technical limitation. The N1 (RK3399) was also capable of these same APIs, but no Vulkan driver ever appeared for Linux use. 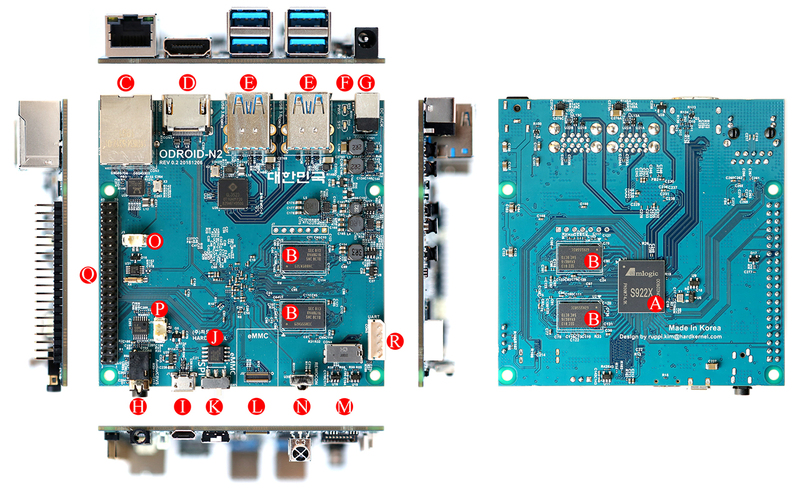 The N2 board looks really good, I like the SOC, audio port and GPU! Good work cant wait to try it out.